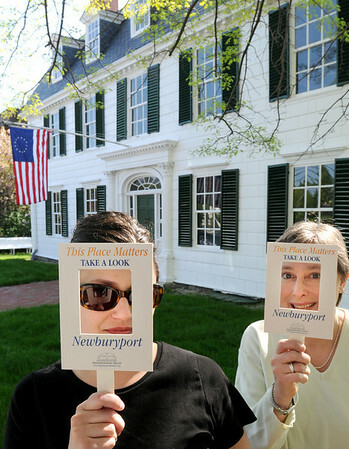 Newburyport: Sarah White, left, and Karen Battles, in front of the Dalton House on State Street, are organizing this year's Preservation Week in Newburyport. The slogan for the event being: This Place Matters, Take a Look. Bryan Eaton/Staff Photo Newburyport News Wednesday May 13, 2009.